Garden and benches made with Pavestone pavers. If your outdoor living space is unattractive, it may simply lack a unifying theme. 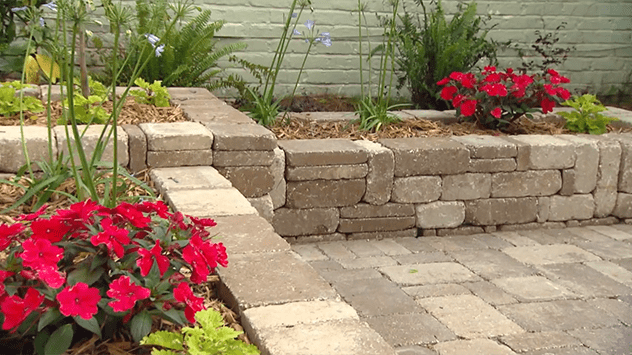 Use something simple, yet versatile, like patio paver blocks. Besides the surface for your patio, they can also be used to enclose your grill, create planting spaces and construct interesting features like benches and fire pits. Using pavers with the dry stack method and a little creativity you can tie all the elements of your outdoor living space together. And because pavers are as durable as they are beautiful, your design will look good for years.